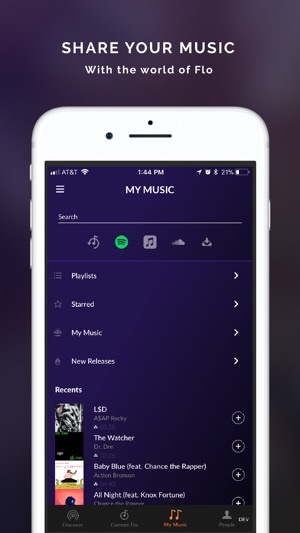 Flo Music connects everyone to one playlist, The Flo, no matter what music service you use- so that everyone can get in on the play time. HOW CAN I USE FLO? House Party; let everyone see what's on the playlist but only a limited few "Collaborators" can add music. Chillin with a friend; one of you "Start a Flo", the other Joins. Add music. Turn up. Listen-in with LeBron James when he listens to music. In a car with a friend; Driver "Starts a Flo", passengers Join. Add music. Turn up. Have a bff at a different college? A loved one serving our country on tour? Keep the Love strong through music together. Want to listen to some random person in Italy? "That's amore!" Connect and listen-in around the Globe and see what people all around the world are currently listening to. Run + Gym + CrossFit FLO: Exercise together to the same playlist. Strength through community. Feature requests, criticisms, questions and miscellaneous opportunities please send us an email at Support@FloMusic.com. We love hearing from everyone. We hope you love what we built. 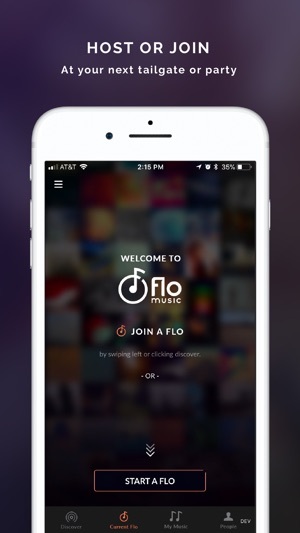 + FLO PLAYLISTS: Create custom playlists easily from your music and the music you Discover. 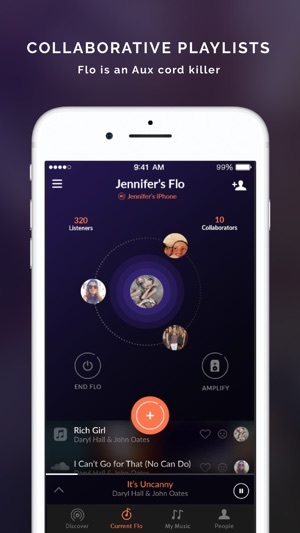 + PROFILE: Your Flo Playlists show on your profile for Guests to listen to. This app comes in handy in a variety of situations. I use it the most at the gym. We play music out loud and everyone contributes. This helps because it keeps people from complaining about the music choice. The experience is very fluid. Would highly recommend. Awesome, Didn’t know it could also do that!!! 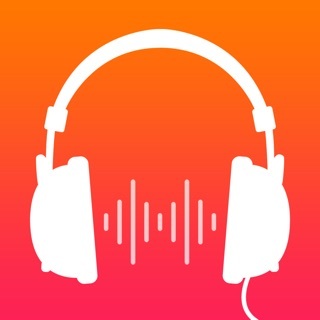 Use Flo originally for making one playlist from my Apple Music and SoundCloud apps in one place so I don’t have to switch back and forth. But now learned how to make a party playlist where all my guests can add to it!!! Love this! YUP. 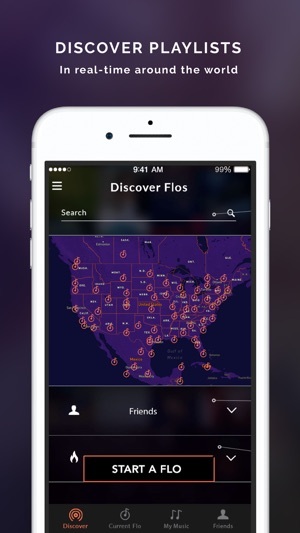 Past Flos are the last 20 Flos you’ve joined or Hosted for easy reference. 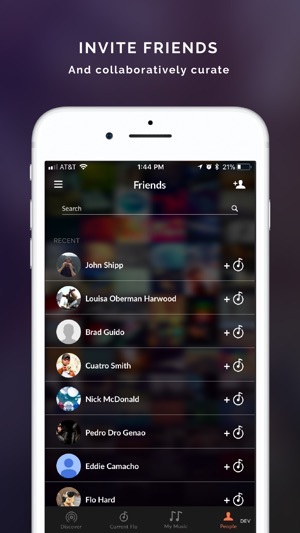 Also, tap on a song in the playlist a friend put on that you like and you can favorite it or add it to one of your main Flo Playlists. Also, the mic is pretty fun... the bigger the speaker system the better. Hit us up Support@FloMusic.com for any feedback, bugs found or feature requests.